Get the smile you've always wanted! Our dentists at Go Dental in Calgary offer orthodontic braces to patients who are interested in straightening teeth, and improving overall oral function. Teeth misalignment and gaps between teeth. Most patients wear braces for 1 to 2 years or even more, but this can vary greatly for each person based on each unique orthodontic need. The cost of treatment varies and depends on each patient's unique treatment plan. We offer financing options to assist patients with obtaining the treatment they need. Am I too old for braces or for orthodontic treatment? Absolutely not – you're never too old to get braces! Many adults are correcting problems and can now experience the satisfaction of a great smile. However, if you are an adult and wish for a more discreet orthodontic treatment, Invisalign® clear aligners may be the better option for you. Invisalign® straightens teeth and corrects oral structural concerns, with the added benefit of being removable and virtually invisible. 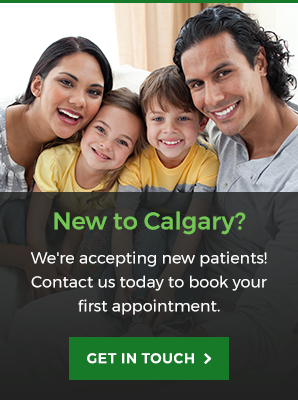 Once you feel you are ready for braces, our Calgary dentists at Go Dental will begin your treatment with an initial consultation to determine which type of orthodontic treatment plan is right for you. Once this is complete, the dentists will move forward with application of your braces. At Go Dental, we are proud to offer orthodontic braces for our Calgary patients who wish to improve the look and feel of their smile.